Kamal recently made two radio PSA’s about snake awareness and snake conservation in Nepal. Public Service Announcement or Public Service Ads are messages within the public’s interest with the objective of raising awareness and public attitudes towards a social issue. Kamal wrote and directed two different Radio announcements. For the recording, he hired experienced voice artists and the scripts were reviewed by Bhabasagar Ghimire, a renowned writer from Nepal working for BBC Media Action, Nepal. 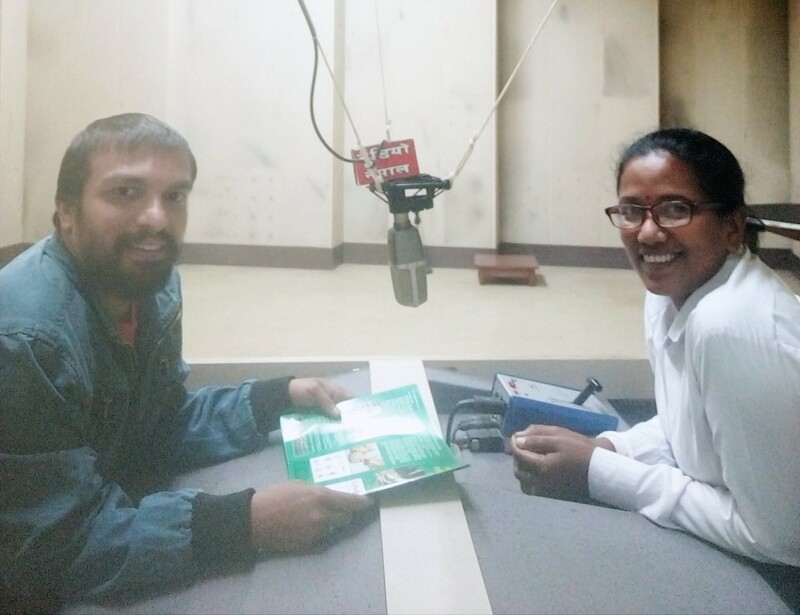 Kamal was also interviewed by the local radio station, Radio Nepal (the government radio in Nepal), and did a television interview. They found that the Radio PSA’s were very effective as they were broadcasted 6 times per day for three months (540 times in three months) from Khasyauli F.M. 98.1 MHz. The broadcast was covered not only in the Rupandehi district but also in different snakebite prone districts of lowland Nepal like Nawalparasi, Kapilbastu and Palpa. These PSA’s were broadcasted from July and will continue until the middle of October. This is the first time that any snake related PSA has been broadcasted from a radio station in Nepal. Kamal also conducted a follow up program at each of the snake information centers in Sagrahawa, Makrahar and Tilottama Municipality where more than 50 people were present including teachers, students, local community members and local leaders. They follow up program had been requested because community members had experienced more than five snakebite incidences within a month. The program was conducted with the help of Mr. Jagadish Tharu who has also participated in our Snake Handling and First-Aid Training. Kamal and his team distributed educational materials to the participants and some copies of the educational materials were handed over to the Snake Information.